Please ask questions and comment via the comments box at the top of the live feed or by commenting on individual posts. go go Popovic! you can do it! A birdie at 16 moves Matt Griffin back into the top-1o. He is 10-under and T7 with Richard Green, Michael Wright, Nathan Green and Stephen Dartnall. Pampling hits his.drive into the rough on the left of the fairway. 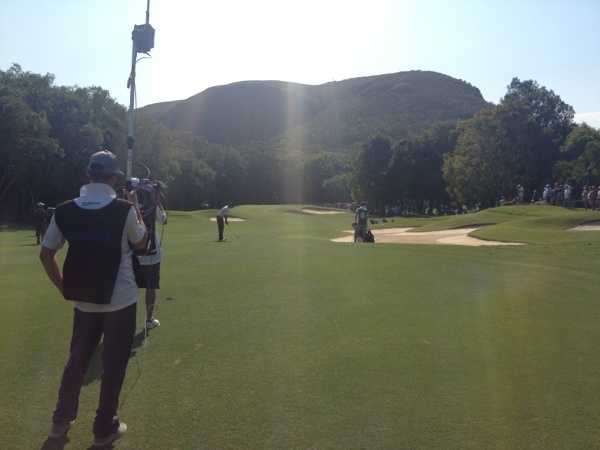 He will have a difficult uphill lie for his approach shot. Keep the updates coming guys, i'm in Ireland and there is no live tv coverage,thanks! Three out of the last six Australian PGA Championships have finished with a playoff. Quite possible we could see another today. 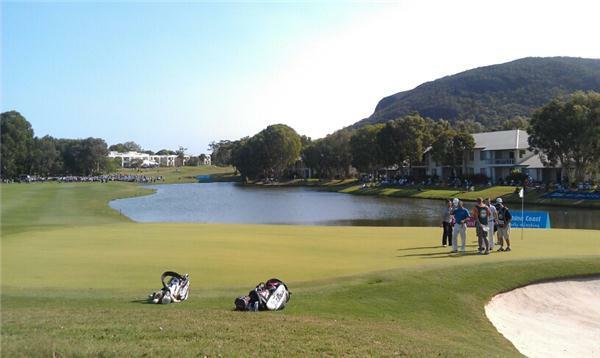 Coolum loves a playoff! Ogilvy 20' for birdie on 18. Hope he can get one. Allenby in water x2 on last! 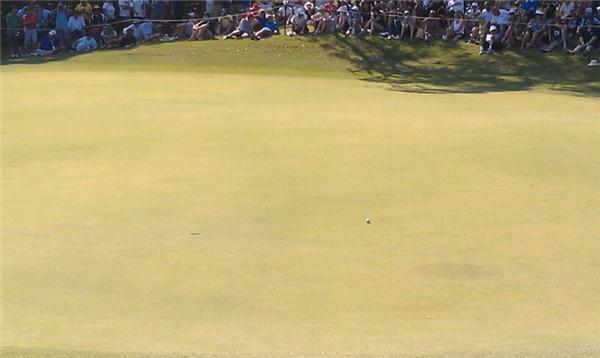 Pampling makes the green but has a difficult putt to come for birdie. Pressure is on. Par for Popovic on 16. Its all coming down to the last 2 holes. Olivia and Emma are getting very nervous on Popovic's behalf... lots of people here wishing him home. Come on Poppy you deserve this ! Pampling leaves it above the hole and a 6ft putt for par. This could be make or break here. You can do it Popo! Pampling misses it right and makes bogey, he looked really nervous over the ball there. With Pampling's dropped shot Daniel Popovich now has a one shot lead. Pampling is going to have to go right at the pin on 18 if he is to have a chance. 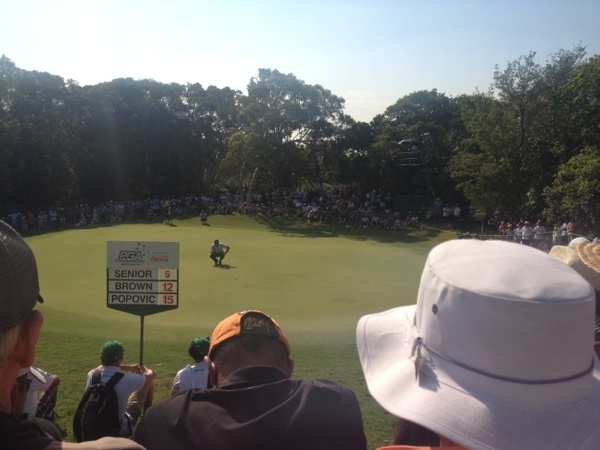 Amazing iron shot from Popovic into 17, he now has a very makeable birdie putt. Oh wow!! Popo that is awesome! Pampling with a huge drive on 18. Needs to follow up with a great approach. Pampling flies it high into the water that should be it I think. Pampling misses his putt and will double bogey the last. Great effort by him today. This is.my view on the 18th. Come on Popovic. Popovic plays it perfect, leaves himself a 12ft downhill putt, should easily make par for the win. Senior and Brown both make par. Wayne Grady said "what a classy way to finish" you've got to agree with that. What an amzing tournament for the young guy. Great work with the updates Matt. Have a beer on me tonight. Par for Popovic and the championship. Well done. Misses the birdie putt but takes the Championship!!! Massive cheer in the media centre for Popovic!